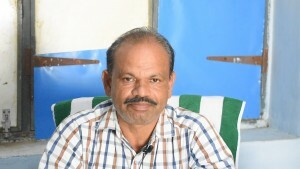 Janyaa’s Lab-in-a-box (LIB) program not only engages with students, teachers and head masters (HMs) but also has an influence on parents like Ms. Shaikh Khajabi, who is also Sarpanch of Munagodu, a small rural village in the state of Andhra Pradesh (AP). 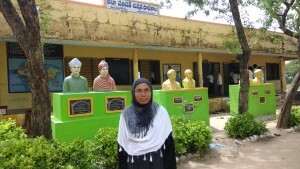 Ms. Khajabi, having visited Zphs Munagodu, and having seen the improvement in the learning outcomes of the kids exposed to Janyaa’s LIB program took it on herself to make sure that the kids who had dropped out of school, should be brought back, in order to give them a chance to succeed in life. With help from the HM of the school, Mr. Srinivas Reddy and few parents, Ms. Khajabi was able to spread awareness about Janyaa’s LIB being implemented in the school and the impact it was having on the kids w.r.t the learning outcomes. This has led to kids, who had earlier dropped out of school, due to reasons such as financial constraints, coming back to the school. The parents of such kids seemed to be convinced that sending kids to schools where LIB program is being implemented, would lead to their kids becoming innovative problem solvers and in turn would lead them to bring prosperity to not only their families but the community as well.